Following on from my posts about the International Dagger and the John Creasey Dagger here are the titles that are eligible for the Ellis Peters/Historical Dagger award. The eligibility period has been brought into line with the other Daggers ie June-May and the shortlist will be announced at Crimefest in May. During April (closes 30th) you can enter a competition to win a copy of Julia Crouch's Every Vow You Break. There are no geographical restrictions. Answer the question and fill in the form here. and Amanda Gillies reviews Simon Toyne's sequel to Sanctus, The Key. Forthcoming titles can be found by author or date or by category, here along with releases by year. Titles by Simon Brett, Frances Brody, Anders de la Motte, Anna Dean, Barry Fantoni, Casey Hill, Juris Jurjevics, Pia Juul, Lars Kepler, Adrian Magson, Pat McIntosh, Russel D McLean, Theresa Murphy, J A O'Brien, Jean-Francois Parot, Stella Rimington, Sara Sheridan, Martin Walker, Evonne Wareham and Carlos Zanon have been added to these pages this week. A few years ago I was musing on the identity of Caro Peacock and after some investigation I discovered it was Gillian Linscott. Bibliographies for: Caro Peacock and Gillian Linscott. The complete list of categories, nominees and winners can be found on the Edgars website. 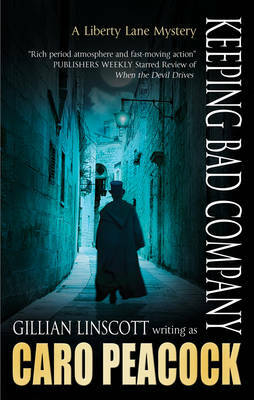 Update: UK publication will be by Blue Door, hopefully also in 2013. The R2 DVD of the English language remake of The Girl with the Dragon Tattoo will be released on Monday. The only special feature mentioned (on play.com) is an audio commentary with the director David Fincher. I haven't seen this version yet but am vaguely curious. I will probably rent it from the library when it comes in. My fellow crime blogger, crimeficreader, at It's a Crime!, is one of the judges for the CWA John Creasey Dagger so I thought I would try and provide a similar, though not as comprehensive sadly as my International Dagger eligibles, list of eligibles for this dagger. This award is for the best crime novel by a first-time author of any nationality first published in the UK in English during the Judging Period. ‘Best crime novel by a first time author’ means that the author must not have had a novel of any sort published before under any name whatsoever. In the case of novels with more than one author, all the authors must meet this requirement. Authors like Val McDermid and Ian Rankin are well-known amongst the readers of crime fiction but, beneath the top rank of bestsellers are a host of writers, some new and some who have built loyal followings over the years but who have never quite broken through. It is to give a boost to these authors that the Crime Writers’ Association Dagger in the Library Award exists. Again kindly sponsored by the publishers, Random House, the Dagger is awarded to a writer nominated by library users and chosen by a panel of librarians, all of whom work with the public. Unlike most other literary prizes, the Dagger in the Library is awarded not for an individual book but for the author’s body of work. Last year’s winner was Mo Hayder, and previous winners have included Colin Cotterill, Stuart MacBride and Craig Russell; whilst Lesley Horton and C J Sansom have been Highly Commended. The nominated authors must be alive, preferably working in Britain and cannot have won the award before. As the award is for a body of work, authors should have published at least three books. Entries from reading groups or individuals are submitted through libraries. 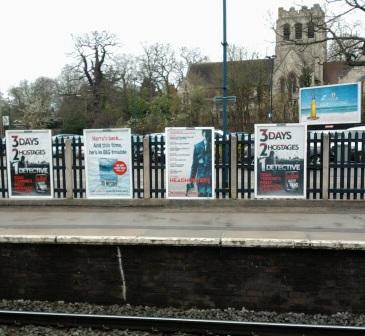 The shortlist will be announced on 15 May at CrimeFest and the winner on 5 July 2012. During April you can enter a competition to win a copy of Julia Crouch's Every Vow You Break. There are no geographical restrictions. Answer the question and fill in the form here. 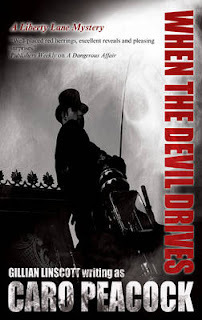 and Michelle Peckham reviews Valerio Varesi follow-up to his International Dagger short-listed River of Shadows, The Dark Valley tr. Joseph Farrell. Forthcoming titles can be found by author or date or by category, here along with releases by year. Titles by Elizabeth Bailey, M C Beaton, C C Benison, Rhys Bowen, Audrey Braun, Alison Bruce, Tania Carver, Kimberley Chambers, Lee Child, Sam Christer, Elizabeth J Duncan, Carola Dunn, Ruth Dudley Edwards, Charles Finch, Friis & Kaaberbol, Frances Fyfield, Eliza Graham, Susanna Gregory, Helene Gremillon, Penny Hancock, Anne Holt, Will Jordan, Ali Knight, Stephen Leather, M L Longworth, G M Malliet, Edward Marston, Peter May, Andy McNab, Fergus McNeill, Regina O’Melveny, Andrea Penrose, Anne Perry, Ann Purser, Rob Ryan, Lloyd Shepherd, A K Shevchenko, Eva Maria Staal, Nick Stone, Peter Tickler, Simon Tolkien, Lee Weeks, Jeri Westerson and Timothy Williams have been added to these pages this week. 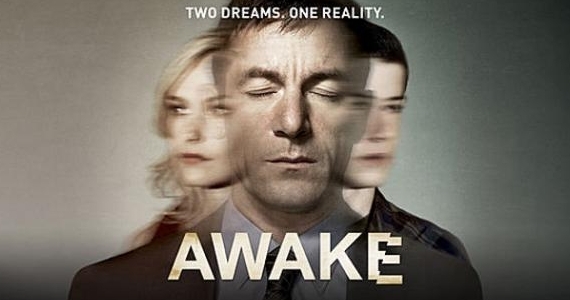 Great news this, after hearing all abut it on the BBC's flagship film programme, Wittertainment aka Mark Kermode and Simon Mayo's Film Reviews, it's been announced that Jason Isaacs' Awake will air on Sky Atlantic this Spring. Awake features Isaacs, who has appeared in films including Harry Potter and The Patriot, as a detective who survives a serious car accident only to then find he is living simultaneously in two parallel worlds. In one world his wife dies and son lives, in the other it is his wife who lives and son who dies. Timothy Williams' Another Sun which was first published in 2011 in France (and was written in French originally) gets its English language debut in October 2012. If it ever got televised then surely Camille (Sara Martins) from the BBC's Murder in Paradise, set on the fictional island of Saint-Marie but filmed on Guadeloupe, would be a contender for the role of Anne Marie Laveaud? French judge Anne Marie Laveaud has to rethink her murder investigation techniques when she is assigned to the tiny French Caribbean island of Guadeloupe. 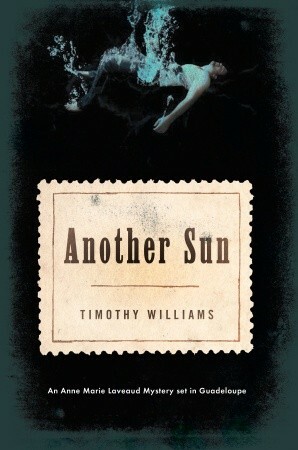 On a plantation in the Caribbean island of Guadeloupe, a man's body is found in a pond, riddled with bullets. The victim is Monsieur Calais, a wealthy land-owner. Within twenty-four hours, a suspect is arrested. He had been making death threats against Calais, claiming that land had been stolen from him, and the gun used to shoot Calais was found buried on his property. This, coupled with the fact that the man had just returned from a forty-year exile in French Guyana for murdering his wife, is enough to convince the gendarmes of his guilt. Anne Marie Laveaud, a French-born judge who has recently been transferred to Guadeloupe, is called in to make a ruling. With a keen sense of compassion for the accused, she must navigate the world of Caribbean justice—very different from what she was used to in France—to confirm her suspicion that all is not as it seems. Alison Hennessey, Senior Crime Editor at Harvill Secker, has acquired UK and Commonwealth rights including Canada for two books from debut crime author M. D. Villiers. The first book will be titled Western Deep. M. D. Villiers was shortlisted for the Crime Writers’ Association Debut Dagger in 2007. McCarthy Letswe, notorious South African crime lord, has returned to Johannesburg after several years in exile, determined to wreak his revenge on Abaju, the Nigerian gangster responsible for Letswe’s departure, who has now taken his place at the head of the criminal hierarchy. Caught up in the turf war between the two ruthless gang leaders is Siphiwe – a 19 year old orphan determined not to let the brutality around him detract from his dreams of a better life. But as the violence on the streets intensifies, and the danger to those he loves most increases, Siphiwe is soon forced to seek help amongst criminals and police alike. I confess I have this series stored on my Sky+ box, along with Borgen, Braquo and Montalbano! 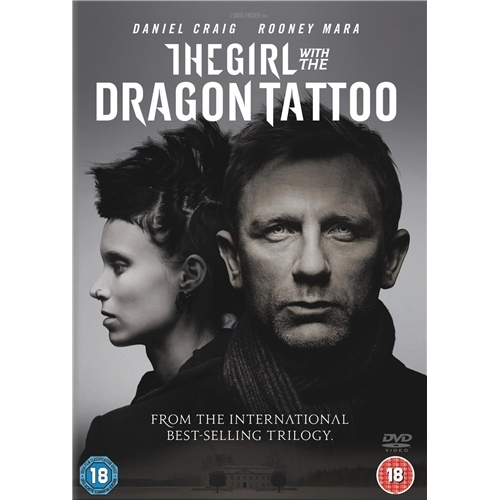 It's recently been released on DVD, at around £18 online. 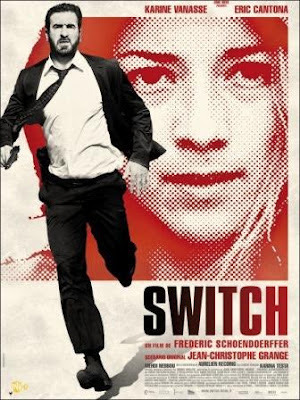 Criminal commissioner Katrina Ries Jensen and legal psychiatrist Thomas Schaeffer are part of a unique police unit investigating a series of gruesome serial killings.. In each case they face dangerous threats in the race to uncover the bizarre motives and patterns of the killer. Only once they have an understanding of the victims and of the killer's psychology can they hope to catch him. 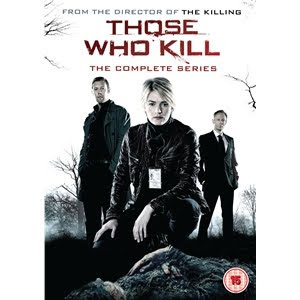 Based on an original idea by best-selling Danish crime novelist Elsebeth Egholm, Those Who Kill is a gripping crime thriller that will keep you guessing. 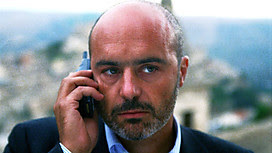 The next and final episode in the current run of of Inspector Montalbano, at 9pm on 14 April, is The Goldfinch and the Cat, which is not based on any of the books in Camilleri's series but is presumably based on a Camilleri short story. New month, new competition time. 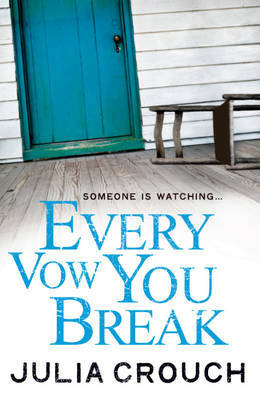 During April you can enter a competition to win a copy of Julia Crouch's Every Vow You Break. There are no geographical restrictions. and Lizzie Hayes recommends Evonne Wareham's debut novel, Never Coming Home to those who like romance along with a good mystery. Forthcoming titles can be found by author or date or by category, here and new titles by Aifric Campbell, Kate Darby, Matthew Dunn, Sam Eastland, Ewart Hutton, Michael Marshall, Val McDermid, Shirley McKay, Louise Millar, Denise Mina, Niamh O'Connor, Marco Vichi, Voss & Edwards and Tom Winship have been added to these pages this week. Thanks to the generosity of Headline, Euro Crime has five copies of Every Vow You Break by Julia Couch to giveaway. This competition is open to residents of the world and will close on 30 April 2012. The Wayland family - Lara and Marcus and their three children - leave England to spend a long, hot summer in Trout Island, Upstate New York. Lara, still reeling from an abortion that Marcus insisted on, hopes the summer away from home will give her time to learn to love her husband again. 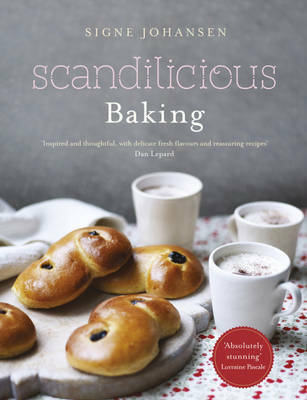 Discover the secrets of great baking with Scandilicious flair...Scandinavian baking is among the best in the world. Deeply ingrained in the culture, it is a distinctive part of the Nordic identity, history and well-being. Welcome to a place where cakes made with real butter are celebrated rather than feared, where entire festivals are dedicated to baking and where it is believed there is nothing quite like the thrill of making one's own bread, Christmas biscuits or cardamom buns. 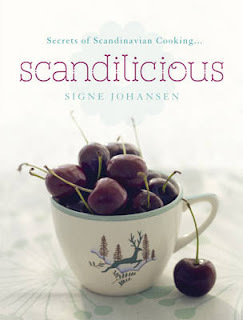 Signe Johansen shares with us a mouth-watering selection of traditional and modern baked treats. Think moreish muesli bread hot from the oven; pumpkin, cheese and sage muffins that pack a real flavour punch; and irresistible redcurrant mazarin tart or upside-down blueberry cake - perfect for summer entertaining. We've long looked south for our food inspiration - but what about our neighbours to the north? We share a climate, a history (those Vikings got everywhere) and a love of cool, from sleek Nordic design to clear frosty November mornings. We also share our love of the outdoors - bracing autumn days, bright spring mornings, lazy summers by the water and long winter walks - and the pleasure of sharing good food with friends around the kitchen table. Discover the secrets of Scandinavian cooking - from delicious healthy breakfasts and leisurely brunches to tasty suppers and plenty of stress-free crowd-pleaser puddings. Learn the knack of putting together the perfect smorrebrod for a speedy Scandi lunch, and discover some very more-ish cakes and biscuits to accompany your afternoon cuppa. From cinnamon chestnut bread, cardamom cream buns and home-made gravadlax to soups, salads, smoothies and much more, Signe Johansen, a young cook steeped in the traditions of Scandinavia and trained by the best British chefs, shows us that it's not all herrings and meatballs...although you will find them in here too. Fresh, light, surprisingly indulgent, this is food to lift your spirits - it's quite simply Scandilicious! Anna and her eight year old son Anders are under the witness protection program following a difficult relationship with Anders' father. They move into a large apartment complex. Anna becomes overprotective of her son and even buys a babycall to keep track of him. Soon, strange noises from other apartments appear on the monitor, and Anna overhears what might be the murder of a child. Meanwhile, Anders' mysterious new friend starts visiting at odd hours, claiming that he has keys for all the doors in the building... Does this new friend know anything about the murder? And why is Anders' drawing stained with blood? Is Anna's son still in danger? Should you have difficulty tracking it down in your local cinema, it will be available on DVD on 4 June 2012. In Montreal, the unemployed fashion designer Sophie Malaterre is summoned by Claire Maras to show her work to her boss. When Sophie arrives in the company, Clare apologizes and tells that her boss is on vacation and will return only two months later. Clare invites Sophie to have lunch with her and tells Sophie about the website switch.com, where it is possible to switch houses with a stranger for vacation. Sophie seeks an apartment in Paris nearby the Eiffel Tower that belongs to Bénédicte Serteaux and they change apartments. Sophie arrives in Paris on Saturday morning and has a dream day riding a bicycle through the tourist area. However, on the next morning, policemen break in the apartment and arrest Sophie while she is having a bath. 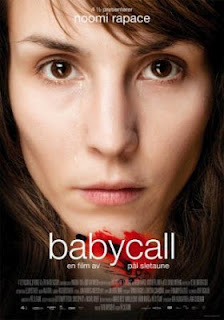 Detective Damien Forgeat interrogates Sophie believing that she is Bénédicte and she learns that a beheaded body was found in her room. Further, all the evidences of her life has been deleted and she can not prove that she is Sophie. 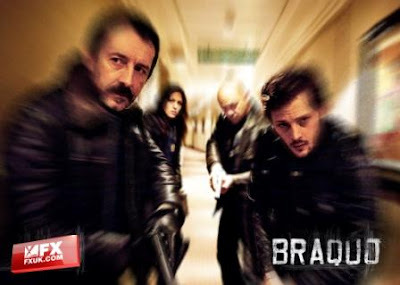 Braquo series 2 comes exclusively to FX and is set to be darker,grittier and a whole lot more violent. This season, the game is up for hard-hitting cops Caplan, Morlighem, Roxanne and Vachewski. Caplan is put on remand, Morlighem and Roxanne are reassigned to junior posts and Théo Vachewski is forced to kiss his badge goodbye...for good! As with series 1 there will be 8 episodes. The official French website is here. A list of "Euro-Crime" books that are being published for the first time in April can be found on the New Releases page on the website. This is a first publication anywhere in the world, rather than UK specific. The next and ninth episode of Inspector Montalbano, at 9pm on 7 April, is The Scent of the Night, which is based on the sixth book in Camilleri's series.